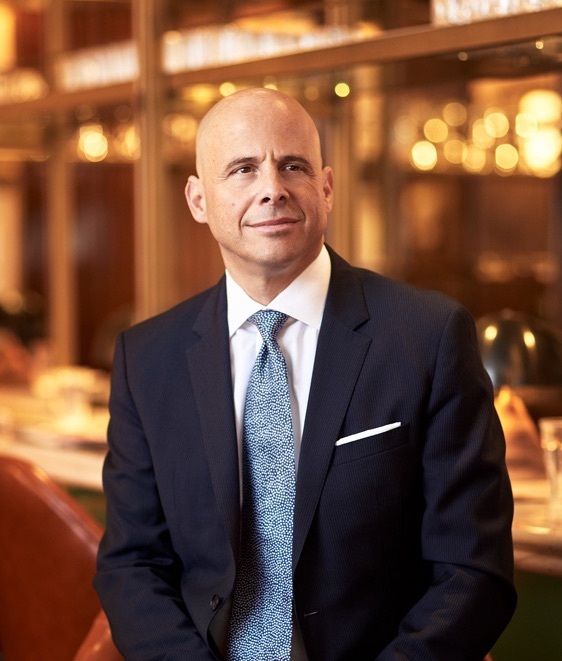 Christian Clerc, President, Worldwide Hotel Operations of Four Seasons Hotels and Resorts, epitomizes the term ‘global citizen’. Educated at Ecole hôtelière de Lausanne, Switzerland, he has held posts in the United States, Mexico, France, Italy and Canada. In our interview for "Technology and the Guest Experience: Views from Five Luxury Hoteliers", Clerc explains how Four Seasons stays at the forefront of hotel innovation and the role of their Research and Discovery Studio. LM: What innovations do you think have helped distinguish Four Seasons from its competitors? CC: Four Seasons began its history of innovation as one of the first luxury hotels to offer in-room amenities, 24-hour room service and complimentary newspapers. In the 1980’s, Four Seasons was the first hotel in North America to introduce a European-style concierge, a service that is now the standard in luxury hotels around the world. Early on, Four Seasons also recognized the importance of a great night’s sleep, and reimagined its sleep offering with the first custom made mattress (1984) and, more recently, the introduction of a fully customizable sleep experience (2014) featuring innovative technology allowing guests to choose their bed’s firmness. We have also introduced a number of technological innovations including Four Seasons Mobile App and Four Seasons Chat, allowing Four Seasons people to engage and connect with guests like never before. Other innovative and bold features of the company include the development of a branded residential experience that extends Four Seasons signature quality and service to those desiring to live in a luxury real estate property managed by Four Seasons, as well as the introduction of the industry’s first fully branded jet, the Four Seasons Private Jet. Each new innovation has the guest experience at top of mind, while creating platforms for our people to do what they do best. Our ability to consistently deliver Four Seasons legendary service is what defines our brand, and as our key differentiator, will continue to set Four Seasons apart around the world. LM: Do you think hotels will continue to make more services available for guests to control or demand through their mobile devices? CC: Today’s world is one of choice where everything can be accessed from a mobile device and where convenience and speed have become an essential part of everyday life. For Four Seasons, mobile use has skyrocketed: 50% of the traffic to FS.com comes from a mobile device; in 2012, it was 5%. In the luxury hospitality space, service delivery on mobile devices is increasing; however, at Four Seasons, we see no value in technology for technology’s sake – it has to enhance the guest experience. The Four Seasons Mobile App is a natural extension of our service philosophy, making it easier than ever for guests to access legendary Four Seasons service when and where it matters most to them. Our guests are on the move – they are global travelers and their mobile devices are an extension of their mobile lifestyle. They want choice, customization and convenience. The Four Seasons Mobile App meets these needs by putting control in their hands allowing them to drive their own experiences and define their preferences. Today’s world is one of choice where everything can be accessed from a mobile device and where convenience and speed have become an essential part of everyday life. LM: How can hotels find new or better ways to personalize the guest experience through technology? CC: In the case of the Four Seasons Mobile App, technology is helping us build stronger relationships with our guests, providing a way to build a deeper understanding of their preferences and allowing us to curate and personalize experiences and services that are tailored to them. Nothing is ever one-size fits all – the hospitality industry has evolved from high touch, but relatively low tech, to high touch supported by high tech. Four Seasons has evolved its technological innovations from the mobile app to the introduction of Four Seasons Chat, a platform that makes it even easier for us to connect with our guests before, during and after their stay. It allows for instant messaging both within the Four Seasons Mobile App and through external platforms such as Facebook Messenger, WeChat, SMS, or iMessage, depending on the guest’s preference. The platform is powered by real people, not chatbots, ensuring accurate and personalized service is provided to each guest inquiry in a timely manner, with response times well below industry averages. Four Seasons Chat is available in more than 100 languages, elevating each property’s ability to seamlessly connect with guests through the platform and language of their choice. LM: How can one maintain a balance between maintaining standards and trying out new ideas when it comes to guest experience? CC: While each Four Seasons hotel or resort is unique, the common thread that unites our properties is service. We also recognize that the needs and desires of the luxury traveler are changing, and that we must continually inspire our employees to innovate and improvise in the moment. Technology is one important way for Four Seasons to maintain these standards while enhancing the guest experience, ensuring we are delivering the services that are the expectation of a luxury hospitality experience. We are a people-centric company and this was an important consideration when designing the Four Seasons App. Rather than introducing technology for technology’s sake we knew that if the app were to be successful it had to connect our guests to the incredible people that set Four Seasons apart. Balancing high tech with high touch – there is a limit to what technology can do to meet the needs of guests – they want a personal, emotional connection and the common denominator for us is service. This is what our guests comment on all the time – the human element, the people, the service. Nothing is ever one-size fits all – the hospitality industry has evolved from high touch, but relatively low tech, to high touch supported by high tech. LM: How important is it that front-line staff have the right attitude when it comes to innovation and finding new ways to serve guests? CC: We hire for attitude and train for skill. We want our people to meaningfully connect with guests in an authentic, personalized manner and we empower them to improvise in the moment providing guests with authentic, high-touch service. Our culture and people have always been the foundation of our success. In order to be the best, we work hard to create an environment in which our people can do their best. We are operating in an intensely competitive global economy that places a high premium on innovation. Innovation depends on human imagination, motivation, and collaboration, and it is the ingenuity of our people that holds the greatest potential for differentiation. We empower our people to provide unscripted care, to rely on their intuition and to go above and beyond to create memorable experiences for our guests. LM: What are some of the ways that Four Seasons empowers employees to deliver the best possible service? CC: Four Seasons is powered by its people – people who deliver world-class service and who are driven by emotional intelligence. We empower everyone to let their personalities shine because we know that when our employees thrive, the guest experience is heightened. We empower employees through our guiding principle of the Golden Rule. By following this simple yet universal principle, our employees understand what needs to be done to deliver exceptional service, going off-script and quickly responding to the needs of our guests to make their stay special. True luxury is in the details, the small touches and ways in which we go above and beyond to exceed our guests’ expectations. Nothing at a Four Seasons happens by accident; every guest experience is perfect on purpose. Four Seasons’ dedication to the guest experience and belief that no detail is too small was the inspiration behind our new Research and Discovery Studio (R&D Studio) at our international headquarters in Toronto. The R&D Studio is a creative workspace and global resource where talent from across the organization can come together to experiment, play, simulate practical challenges, test ideas, and find inspiration. While the Golden Rule guides our employees, we also want to empower them with the tools to succeed. In the R&D Studio, we are constantly testing new technology, new products, and new methods to enhance the guest-experience. We want to make sure that our employees have the tools they need to deliver exceptional service, and that our guests have access to the world’s finest amenities and products. It takes a tremendous amount of effort to create seemingly effortless experiences every single day at every Four Seasons properties around the world. A multitude of decisions go into every aspect of the Four Seasons guest experience, and the R&D Studio is an example of how we work to harness the creative, innovative talents of our employees and bring them to life at Four Seasons hotels, resorts and residences around the world.